Purchasing tickets for an event, including Bucks games and other events held at Fiserv Forum is a simple and convenient process for all guests. Guests with disabilities who require disabled seating may purchase tickets through the same methods, at same hours, and same stages of sales (e.g. presales, waiting lists, etc.) as guests requiring non-disabled seating. Specifically, guests with disabilities may purchase tickets to Bucks games and other events at the Fiserv Forum Ticket Office; online at ticketmaster.com; bucks.com; or by calling (414) 227-0511. When placing your order via phone, please inform your ticket representative that you require accessible seating accommodations. For Marquette Men’s Basketball games, please call (414) 288-4668 or visit gomarquette.com/sports for additional information. Platform areas are located in various price classes and dispersed throughout Fiserv Forum. Floor seating for wheelchair guests will be based on a per event basis. Wheelchair guests who would like to purchase floor seats for Bucks games and other events should call the Fiserv Forum ticket office at (414) 227-0511. 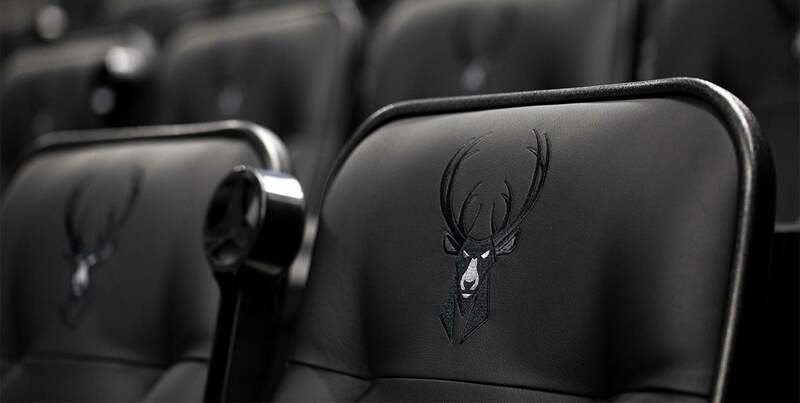 Visit bucks.com/tickets to view Fiserv Forum seating configurations and wheelchair platform locations for Bucks games or ticketmaster.com to view Fiserv Forum seating configurations and wheelchair platform locations for other events. For Marquette Men’s Basketball games please call (414) 288-4668 or visit gomarquette.com/sports for additional information. Each wheelchair accessible seat includes the option to purchase up to a total of three (3) additional companion seats immediately adjacent to the wheelchair location, subject to availability at the time of purchase, on the same platform row, unless ticket sales for any particular event are limited to fewer than four (4) total tickets for all purchasers. For example, if an event limits purchases to two (2) tickets for all purchasers, no additional companion seats beyond one (1) companion seat will be available. Guests in need of additional companion seats should advise their ticket representatives at time of purchase, and every effort will be made to locate them as close as possible to the wheelchair space and three (3) companion seats. We reserve the right to address fraudulent purchases or requests for accessible seats to the extent provided by law including, with respect to single event ticket purchases, asking the purchaser if they, or someone for whom they are purchasing, has a mobility disability that requires the use of a wheelchair space. With respect to season tickets, we may ask the purchaser to attest in writing that they, or the person for whom they are purchasing, has a mobility disability that requires the use of a wheelchair space. ADA ticket fraud includes, but is not limited to, the misrepresentation of a disability. Fiserv Forum management reserves the right to take appropriate action regarding misrepresentation which may result in relocation or revocation of tickets, ejection or forfeiture of payment on your seats. An open captioning service will be available during Bucks games. Guests requiring interpreting services for other public ticketed events at Fiserv Forum should contact the Fiserv Forum ticket office at (414) 227-0511 two (2) weeks prior to attending an event. Every effort will be made to accommodate a request made less than two (2) weeks prior to an event. Assistive listening devices are available for use during Fiserv Forum events. Guests can pick up these devices at Guest Concierge Desks as well as the Ticket Office. A valid driver's license or ID is required to borrow all devices and they must be returned at the conclusion of the event. Parking for guests with mobility limitations can be found in the 5th Street Parking Structure, located at 5th Street and McKinley Avenue, or the Fiserv Forum Parking Structure at Sixth Street and Highland Avenue. Spaces are located on the first and third levels of both structures. Parking structure doors may be operated by electronic touchpad, and elevator access is available from all levels of the facility. Accessible parking spots cannot be reserved in advance and guests requiring this accommodation are encouraged to arrive early for each event. Contact the Fiserv Forum Ticket Office at (414) 227-0511 for further inquiries. During Bucks games and other events at the Fiserv Forum, the drop-off area for people with disabilities is located along Juneau Avenue off of Sixth Street near the BMO Entrance at the northeast entrance of the building. Call a group ticket representative at (414) 227-0599 before organizing your next group outing with your office, school, team, club or group of friends. If a member or members of your group require wheelchair accessible seating for a Bucks game or other event, every effort will be made to locate the group as close to the wheelchair accessible seats and companion seating, if applicable. For Marquette Men’s Basketball games please call (414) 288-4668 or visit gomarquette.com/sports for additional information. Guests needing wheelchair accommodation are encouraged to bring their own mobility devices to Fiserv Forum. If you need the use of a Fiserv Forum wheelchair during an event held inside Fiserv Forum, speak with a member of the Guest Experience staff located at any entrance or visit a Guest Concierge Desk located at Sections 109 and 212 upon your arrival into Fiserv Forum and request use of a wheelchair. Wheelchairs belonging to Fiserv Forum are operated by arena staff and are available for transit between gates and seating areas. Wheelchair transport service to and from entrances to a guest’s seat is available on a first-come, first-served basis and demand may cause an increase in wait time for an accommodation. We are unable to allow Guests to keep Fiserv Forum wheelchairs throughout an event. We are unable to transport Guests in wheelchairs beyond the streets directly adjacent to the Arena. Please contact the Fiserv Forum Administrative Office at Ticket Office at (414) 227-0504 if you have any questions. If you require ADA assistance at any Bucks-related special event outside Fiserv Forum, including but not limited to, the use of assisted listening devices, an interpreter, and/or a wheelchair, please call the Bucks corporate office at (414) 227-0511. Fiserv Forum features two rooms specially designed for Guests with developmental disabilities who need a quiet space during events. These Sensory Rooms feature soft carpeting, tactile wall hangings, and comfortable furniture. In order to gain access to these rooms, and to pick up a resource bag for those needing this accommodation, please refer Guests to the Concierge Desks located behind Sections 109 and 212. Fiserv Forum does not allow pets for any events held. We only allow service dogs to assist fans with disabilities. The dog must be a “service” dog trained to perform a specific function as defined by the ADA. Fiserv Forum permits only service dogs trained to assist people with disabilities. No other animals shall be allowed at Fiserv Forum. Service dogs that are growling, barking, clawing, biting, exhibiting aggressive behavior, or clearly not under the control of their handlers may be barred from the Arena. Fiserv Forum has an adjustable-height adult changing table available to any Guest needing this accommodation. The adult changing table is located in the Wellness Room behind Section 113. All public restrooms at Fiserv Forum are accessible.